Insta360 is one of the companies in the 360 camera space that has been on an absolute tear. Last year it announced the Insta360 Nano which is a popular iPhone-attached 360 camera capable of doing Periscope and Facebook live streaming. Since last year, it also released an Android variant called the Insta360 Air and a professional camera called the Insta360 Pro that can shoot 8K 360 video. It looks like Insta360 may be launching something to bridge the gap between the Nano and Pro cameras. Currently, the Insta360 Nano sells for $199 and Pro sells for $3499, and the capability differences between the two cameras are quite vast in terms of photo and video quality. 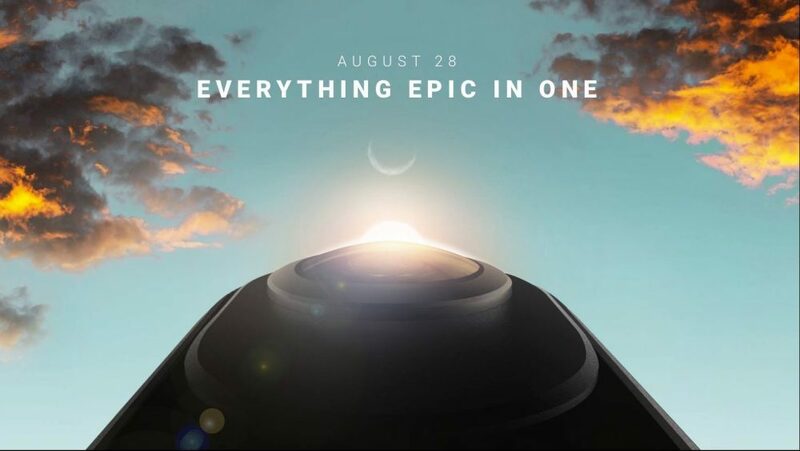 Insta360 is now teasing a new camera with some video footage that we expect will bridge this vast capability and price gap between the Nano and Pro. Based on these videos we’re seeing, this new camera looks like it could have some sort of high-speed capability and it might take 360-degree videos from an entirely new angle. From the video, it appears to operate with some sort of selfie stick that places the stitch line between the cameras right on the selfie stick, making it appear invisible and easily removed. Additionally, it likely highlights the standalone nature of the camera itself since I wouldn’t expect that they have a phone swinging around like that on a selfie stick. Insta360 have proven to be the most full-featured platform for 360 video and photography and it will be interesting to see how the company’s products will evolve with the market and perhaps even how the market reacts to their own capabilities. The company is teasing that we will know more on Aug. 28.